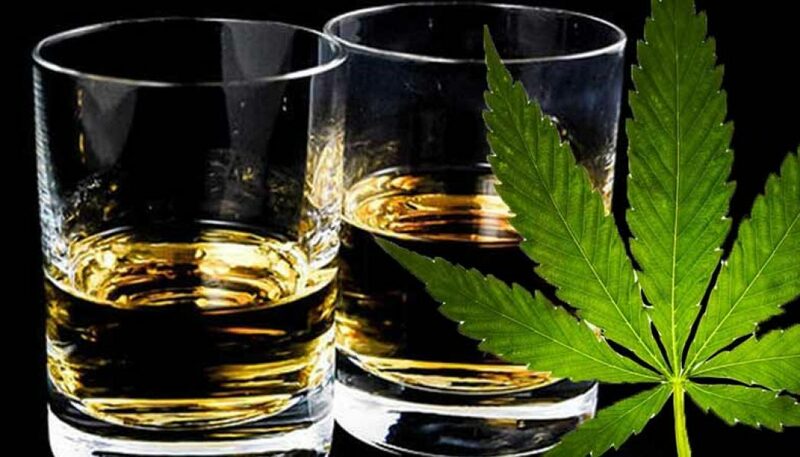 Can Cannabis Be Aged Like Wine and Whiskey? I’m at the cannabis version of a wine tasting, and 30 seconds into the process I’ve committed a faux pas along the lines of spilling a well-aged Bordeaux all over myself. “I recommend taking a smaller hit,” says one of my colleagues as I expel the ridiculously large cloud of marijuana smoke I just accidentally inhaled through a half-cough, half-snarf. Often, smoking marijuana involves taking big hits. But here in this slickly appointed downtown apartment in Denver, it’s all about taking small, subtle pulls from the sleek glass pipes arrayed on the coffee table before me, to sample the subtle flavor notes of the offerings without getting way too high. As someone who hardly smokes pot at all, I clearly don’t know how to do that. I better figure out how to do so fast, since I’m here with representatives of Yofumo, a new Colorado marijuana company that claims to have unlocked the secrets of curing cannabis buds, producing pot that has the sort of elite tastes and flavors we normally associate with well-aged wines and cheeses. They’ve offered me a taste test here in their corporate apartment to showcase their results, which they’ve spent the past hour comparing to top-shelf bourbons, Grand Cru Burgundies, and premium Jamón ibérico ham. But now that we’ve started sampling their specially cured buds, it’s obvious that if I don’t get ahold of myself, I’ll soon be so stoned I won’t know the difference if they pass me a pipe filled with oregano. “It’s like someone spent an entire growing season making these amazing grapes and then tossed them into a toilet tank to make prison wine,” says Jake Browne, a marijuana critic for the Denver Post’s Cannabist site and co-founder of Grow-Off cannabis growing competition. The result isn’t simply improperly dried pot; experts say curing helps preserve your cannabis, increases its potency, and improves its smell and flavor. While Browne is skeptical of most products and services these days that claim to produce better pot, he attended a recent Yofumo taste test and came back a true believer. “It’s no exaggeration to say I have smoked hundreds of different marijuana strains, and this was some of the best-tasting pot I had ever smoked,” he says. How exactly does Yofumo (derived from yo fumo, or “I smoke” in Spanish) produce perfectly cured cannabis? At the Yofumo apartment, before we begin the taste test, company CEO Alfonso Campalans shows me a $5,000 “Yofumo Pro” curing unit, which resembles a small pizza oven that’s been fashioned from metal and mahogany and painted black. According to Campalans, the unit uses gaseous ozone emitters, humidity and temperature sensors, and other environmental controls to dial in and speed up the curing process, plus prevent mold and microbial contamination. While the company’s current product line, launched earlier this year, is geared toward commercial growers, Yofumo plans to soon launch consumer versions of its devices, including a $360 tabletop unit and a $60 “MyPro” unit, a specially treated mahogany box the size and shape of a box of cigarettes. Yofumo isn’t just trying to bring out the natural terpenes, or flavor components, of different marijuana strains. Their units are designed so users can add additional terpenes during the curing process, producing entirely new flavor profiles. To figure out what profiles work best, the company turns to Joe Edwards, Yofumo’s award-winning “cure master,” a very intense goateed fellow who rattles on before the taste test about aroma spectrums and terpene mapping in a way that makes me feel like I’m already high. I ask Edwards how home growers who don’t want to invest in a $5,000 Yofumo Pro should cure their weed. He looks at me like I’ve just asked a Michelin star chef on how to best use a microwave. But still, he graces me with an answer. According to Edwards, first you need to dry your cannabis: Cut the branches from your plant, remove excess leaves and hang them in a dark environment that’s not prone to temperature or humidity fluctuations. Leave them there for three to 21 days, until the buds feel slightly crunchy in your fingertips. Then you need to cure your trimmed buds. Place them in a sterilized, airtight glass jar that you agitate and open for a few minutes every two days or so. After about 20 days, the buds should break apart into pieces the size and shape of popcorn, which means they’re ready to smoke. If the buds don’t break apart, that means they’re not yet fully cured. If they collapse into dust, you went overboard and the results are too dry. But are all these devices and effort really worth it? “The proof is in the pudding,” says Campalans as we prepare the taste test. To begin, one of his colleagues hands me a jar of Cherry Lemon Haze they purchased from a local pot shop and asks me to smell and handle it. It smells okay, and the buds feel dry and crumbly. Then they hand me a jar of the same strain that’s spent time in Campalans’ personal Yofumo unit. The difference is striking: the aroma of fresh lemons washes over me, the buds feel soft and supple under my fingers. Now it’s time to actually smoke it. After my first disastrous hit, I ease up on my technique, and soon I’m taking small pulls from the various pipes being handed to me, some filled with regular cannabis, some with Yofumo-cured marijuana. But while company reps sitting around me are soon talking about the hints of mint and shades of nectarine they discern from the Yofumo-cured strains, I don’t taste much difference between the various options. That is, until they pass me a pipe filled with a strain they purchased called Grape Stomper. Despite the name, when I take a hit, I don’t taste any grapes. Then they hand me a pipe with Grape Stomper that had been cured in a Yofumo unit and enhanced with natural grape flavors. This time, there it is: the clear, sweet flavor of grape on my tongue, but it doesn’t taste fake or overpowering. It’s like the chocolatey notes of a great single-origin cup of coffee, versus a Starbucks Mocha Frappuccino. I’m impressed — and also pretty high. Still, am I about to invest in a $5,000 Yofumo Pro or even a $60 MyPro? Unlikely. But then again, I haven’t yet smoked that gin and tonic. Can Pot Be Aged Like Wine and Whiskey?